To assess in a large naturalistic sample, whether clinical response to a treatment with venlafaxine is associated with different patterns of plasma concentrations of active moiety, AM (sum of venlafaxine (VEN) and its active metabolite O-desmethylvenlafaxine (ODVEN)). Applying a regression model, plasma concentrations and plasma concentrations corrected-by-dosage (C/D) for AM were included as independent variable with Clinical Global Impressions-Improvement (CGI-I) scale ratings as dependent variable. Moreover, AM, VEN, and ODVEN were compared between treatment responders and non-responders, defining response as much or very much improved on the CGI-I scale based on the non-parametric Mann-Whitney U (M-W-U) test with a significance level of 0.05. No correlations were found between AM and C/D AM plasma concentrations and CGI-I ratings (regression coefficient 0.0, CI 0.000, 0.001, p = 0.492 for AM and 0.047, CI − 0.065, 0.159, p = 0.408 for C/D AM). Venlafaxine daily dosage did not differ between responders and non-responders (217.7 ± 76.9 vs. 222.0 ± 72.7 mg/day, p = 0.45 for M-W-U). Responders displayed lower ODVEN (p = 0.033) and AM (p = 0.031) plasma concentrations than non-responders (p = 0.033 and 0.031, respectively for M-W-U). No other differences were detected. Using a cut-off level of 400 ng/mL for AM concentrations, a higher percentage of responders was reported in the group of patients with AM < 400 ng/mL (13.04%) compared to patients with AM > 400 ng/mL (8%) (p = 0.038). Higher ODVEN and AM concentrations in non-responders than in responders indicate that treatment escalation above upper thresholds of therapeutic reference ranges of venlafaxine is not promising. Hence, the therapeutic reference range for venlafaxine can help in improving outcomes in a measurement-based care model that takes advantage of therapeutic drug monitoring. A. Köstlbacher, University of Regensburg, Germany created the KONBEST software in his Ph.D. thesis based on an idea of E. Haen, C. Greiner, and D. Melchner along the work flow in the clinical pharmacological laboratory at the Department of Psychiatry and Psychotherapy of the University of Regensburg, Germany. He ongoing maintains together with his colleague A. Haas the KONBEST software and its data mining platform (Haas & Köstlbacher GbR, Regensburg/Germany). The lab technicians performed the quantitative analysis: D. Melchner, T. Jahner, S. Beck, A. Dörfelt, U. Holzinger, and F. Pfaff-Haimerl. 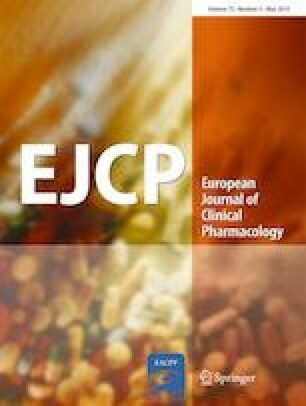 The clinical pharmacological comments to drug concentrations were composed by licensed pharmacists and medical doctors: Licensed pharmacists: C. Greiner, W. Bader, R. Köber, A. Hader, R. Brandl, M. Onuoha, N. Ben Omar, K. Schmid, A. Köppl, M. Silva, B. Fay, S. Unholzer, C. Rothammer, S. Böhr, F. Ridders, D. Braun, M. Schwarz; M. Dobmeier, M. Wittmann, M. Vogel, M. Böhme, K. Wenzel-Seifert, B. Plattner, P. Holter, R. Böhm, R. Knorr. Participated in research design: GS, EH, GG, CH, KE, FR, CUC, MP. Performed data analysis: GS, MP. Wrote or contributed to the writing of the manuscript: GS, EH, GG, CH, KE, FR, CUC, MP. Ekkehard Haen received speaker’s or consultancy fees from the following pharmaceutical companies: Servier, Novartis, and Janssen-Cilag. He is managing director of AGATE, a non-profit working group to improve drug safety and efficacy in the treatment of psychiatric diseases. He reports no conflict of interest with this publication. Gerhard Gründer has served as a consultant for Boehringer Ingelheim (Ingelheim, Germany), Cheplapharm (Greifswald, Germany), Eli Lilly (Indianapolis, Ind, USA), Lundbeck (Copenhagen, Denmark), Ono Pharmaceuticals (Osaka, Japan), Roche (Basel, Switzerland), Servier (Paris, France), and Takeda (Osaka, Japan). He has served on the speakers’ bureau of Eli Lilly, Gedeon Richter (Budapest, Ungarn), Janssen Cilag (Neuss, Germany), Lundbeck, Roche, Servier, and Trommsdorf (Aachen, Germany). He has received grant support from Boehringer Ingelheim and Roche. He is co-founder of Pharma Image GmbH (Düsseldorf, Germany) and Brainfoods UG (Selfkant, Germany). He reports no conflict of interest with this publication. Christoph Hiemke has received speaker’s or consultancy fees from the following pharmaceutical companies: Astra Zeneca, Janssen-Cilag, Pfizer, Lilly, and Servier. He is managing director of the psiac GmbH which provides an Internet-based drug–drug interaction program for psychopharmacotherapy. He reports no conflict of interest with this publication. Christoph Correll has been a consultant and/or advisor to or has received honoraria from: Alkermes, Allergan, Angelini, Boehringer-Ingelheim, Gerson Lehrman Group, Indivior, IntraCellular Therapies, Janssen/J&J, LB Pharma, Lundbeck, Medavante, Medscape, Merck, Neurocrine, Noven, Otsuka, Pfizer, ROVI, Servier, Sunovion, Supernus, Takeda, and Teva. He has provided expert testimony for Bristol-Myers Squibb, Janssen, and Otsuka. He served on a Data Safety Monitoring Board for Boehringer-Ingelheim, Lundbeck, Rovi, Supernus, and Teva. He received royalties from UpToDate and grant support from Janssen and Takeda. He is also a shareholder of LB Pharma. All other authors declare no conflicts of interest as well. The research study did not receive funds or support from any source. All procedures performed in studies involving human participants were in accordance with the ethical standards of the institutional and/or national research committee and with the 1964 Helsinki declaration and its later amendments or comparable ethical standards. No informed consent was necessary for this type of research.